Woman Charged For Triggering A Crash That Killed A FHP Sergeant And Injured Two | Schuler, Halvorson, Weisser, Zoeller & Overbeck P.A. An Indian River County woman has been charged and apprehended for a car crash that killed a Florida Highway Patrol sergeant and injured a 61-year-old Port Salerno man. 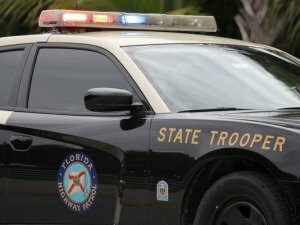 Police authorities and the Florida Highway Patrol officials said, the Indian River County woman was seen speeding along Hobe Sound and Stuart, when she lost control of her 2016 Toyota Sequoia V8 and crashed into a Florida Highway Patrol vehicle driven by a 33-year-old FHP Sergeant, a police spokesman said. The Florida Highway Patrol Sergeant also lost control of the vehicle after being hit and crashed into a Honda Accord driven by a 61-year-old woman from Port Salerno. The woman suffered several head injuries and was rushed to a hospital in Jensen Beach, Martin County. Another passenger in the Honda, reported to be the son of the 61-year old crash victim, also suffered severe injuries and was taken to a hospital in Martin County. The FHP sergeant, whose name is still being withheld by the Martin County police authorities, died at the crash scene. The Florida Highway Patrol reported that the Indian River County woman who had triggered the crash confessed to exceeding the authorized speed limit and alcohol limit. She is being held in the Indian River County jail.